The Ohio State University School of Communication has achieved national and international distinction in research, teaching and service by designing innovative undergraduate degrees in strategic communication; journalism; new media and communication technology; and communication analysis and practice. 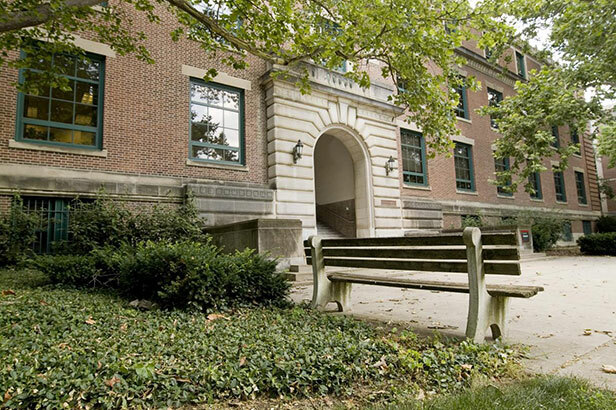 Graduate programs in the school are consistently ranked in the top 10 in the country. The graduate program focuses on teaching students to be the best teachers and scholars in the field of communication. studies how rumors and misinformation spread online, why people believe them, and whether inaccurate beliefs can be corrected. His research has examined a range of factors shaping these processes, including social media and partisan online news use, psychological biases, and the strategies individuals use to decide what is true. His work is supported by the National Science Foundation, and has been published in academic journals, including PLOS ONE, the Journal of Communication, Political Behavior, and Daedalus. It has also appeared in popular outlets such as Scientific American and Newsweek. directs the Communication and Psychophysiology Lab. One of her research interests is the use of real time and longitudinal data (e.g., eye movement, cardiovascular activities, life experience sampling) in conjunction with dynamic models to study how people process information, and how their attention, emotion, motivation, decision and choices are affected by the information. One application of this research is to better understand effective communication strategies and message designs to change health related behaviors, such as substance use and diet. Another research interest is to understand contextual influences on decision, cognition, and communication by building new probabilistic and dynamic systems models based upon quantum rather than traditional classical probability theory. Many “irrational” human behaviors can be explained and predicted by her quantum cognition models..
conducts research in the areas of health and risk communication. She’s interested in the factors that shape people’s perceptions of their risk for diseases such as cancer, and the extent to which they respond to those risks with information seeking and prevention behaviors. She’s particularly interested in how communication can strategically be used to help reduce health disparities via increased knowledge of cancer risks and health behaviors to lower risk. Along with colleagues from The James, she is working on several translational genetic and genomic projects to communicate personalized disease risk estimates to patients and better understand how this information impacts risk assessment and health decision-making, as well as communication with family members regarding genetic risk and testing. Today’s Lantern is a digital media enterprise that produces award winning multimedia coverage of a campus community that includes 60,000 students, leading edge science and medical research and one of the nation’s largest collegiate sports programs. Our student journalists gain real world experience producing podcasts, photo galleries, sports programs, video packages, news and features stories — featured on our websites, social media channels and in our printed newspaper. The New Media and Communication technology specialization for undergraduates integrates coursework from communication, design, computer science, psychology and business. The Strategic Communication specialization partners students with clients such as Cardinal Health, OhioHealth, 4-H, Hamilton Parker, Nationwide Children’s Hospital and Lifeline of Ohio. A new minor in Health, Environment, Risk and Science Communication explores the role of communication in health and health care and the communication of risk.